Starting in 2013, the biennial Bernhard and Kuraishi awards have been bestowed on a clinician and basic scientist, respectively, who have made significant contributions to our understanding of itch mechanisms and treatment. The Bernhard award is in honor of Jeff Bernhard, a renowned dermatologist, former Editor-in-Chief of the Journal of the American Academy of Dermatology, and author of the first book on itch in 1994, entitled “Itch: mechanisms and management of pruritus”. 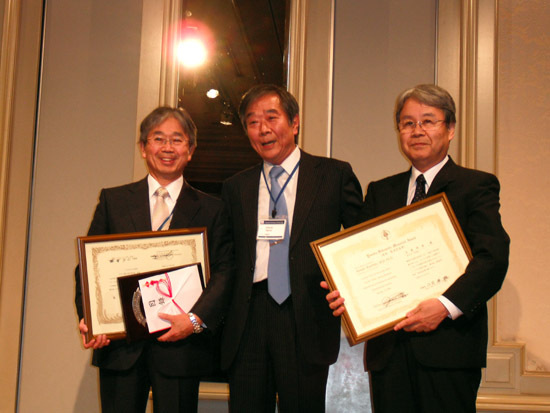 The Kuraishi award honors Yasushi Kuraishi, who at the University of Toyama was the first scientist to use scratching behavior in rodents as an itch model. Dr. Kuraishi has made numerous contributions to our understanding of the pharmacology and physiology of acute and chronic itch. 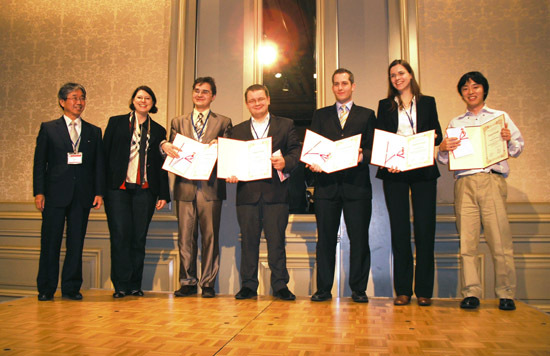 Beiersdorf offered, for the period of four years, a “Hermann Handwerker Prize for young researchers” (up to 35 years) for the best poster presentation at the ISFI meetings (2000,- $). Department of Life Innovation, Graduate school of Pharmaceutical Sciences, Kyushu Universtity, Fukuoka, Japan. Poster-Title: "Astrocytic lipocalin-2 in the spinal dorsal horn is required for chronic itch". Wake Forest University Health Sciences, USA: A tale of two itches: Common features and notable differences in brain activation revealed in a comparative fMRI study of cowhage and histamine induced itch. 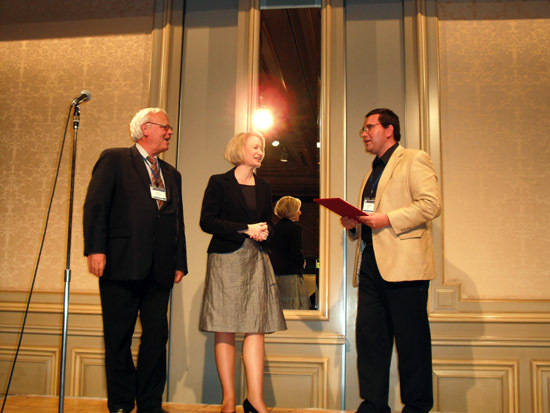 The 2007 award was granted to Steve Davidson for his work on itch and the neural mechanisms underlying the effects on scratching. Please read more about his work here. Hjaltje H. Andersen, Denmark: "Stimulus-response evaluation of the antipruritic effect of homotopic, monophasic cold and TRP-agonist counter-stimulation of histamine-induced itch in healthy volunteers"
Emilie Brenaut, France: "Pruritus: an underrecognized symptom of small-fiber neuropathies"
Aleksandra Wieczorek, Poland: "Expression of opioid receptors in the skin of patients with uremic pruritus"
Kinan Hayani, Germany, "Syria: Chronic itch in hemodialysis patients: cutaneous manifestations and provision of care according to GEHIS (German Epidemiological Hemodialysis-Itch Study)"
Antoinette Van Laarhoven, Netherlands: "Psychophysiological processing of itch in patients with persistent post-burn itch"
Andreas E. Kremer, University of Amsterdam, Netherlands (Premier): Autotaxin is a potential mediator of cholestatic pruritus. Ferda Cevikbas, University of California, San Francisco, USA (Premier): IL-31: An important player in the scene of itch. Adam Reich, Wroclaw Medical University, Poland: Visual analogue scale as a validated assessment of pruritus intensity. Tasuku Akiyama, University of California Davis, USA: Enhanced scratching in a mouse model of chronic dry skin itch. Dmitry V. Romanov, Moscow Medical Academy, Russia: The new approach to studying neurophysiological mechanisms of itch: Evoked potentials to electrical and thermal stimulation in patients with atopic dermatitis. Tobias Lotts, University of Muenster, Germany: Multidimensional database for pruritus patients – Statistical evaluation of clinical characteristics. Suhandy Tengara, Juntendo University Graduate School of Medicine, Japan: Epidermal nerve density is modulated by keratinocytes-produced anosmin-1. Toshiharu Fujiyama, Hamamatsu University School of Medicine, Japan: Stress management alleviates atopic pruritus.